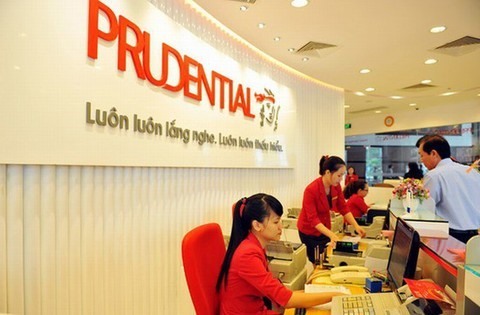 HÀ NỘI — Việt Nam’s insurance industry maintained positive growth in the first quarter of this year, with total premiums surging by 17 per cent year-on-year, according to reports from the General Statistics Office. Life insurance surged by 23 per cent, while non-life insurance increased by 9 per cent. According to the Ministry of Finance’s Insurance Supervisory Authority (ISA), the insurance industry is targeting a growth rate of 20 per cent this year. Experts remain upbeat about the industry’s health in the coming years, forecasting that it will maintain an annual growth rate of 10-20 per cent. Many banks that co-operate with insurers to provide bancassurance products even expect an annual growth rate of up to 30-40 per cent. The fast-growing domestic insurance market should thrive thanks to rising living standards and a high gross domestic product (GDP) growth of more than 6 per cent annually over the next three years, experts said. The growth potential is great as the country has one of the world’s lowest life insurance penetration levels at less than 1 per cent of GDP. The average insurance premium in Việt Nam stands at US$30, much lower than the global average of $595 and Southeast Asia’s average of $74. To maintain high growth, Deputy Finance Minister Huỳnh Quang Hải said the Insurance Association of Vietnam (IAV), in conjunction with other relevant agencies, must raise awareness about insurance. IAV also needs to promote closer co-operation among insurers so that businesses can join hands to build and fine-tune the industry’s databases, which will improve the quality of their services, thereby raising their financial capability and competitiveness, Hải said. Hải also told insurers to work with IAV and the Ministry of Finance to develop a new insurance business law to contribute to the development of the local insurance market. The ISA reported that the country has 64 insurance companies, including 30 non-life insurers, 18 life insurers, two reinsurance companies and 14 insurance brokerage companies.